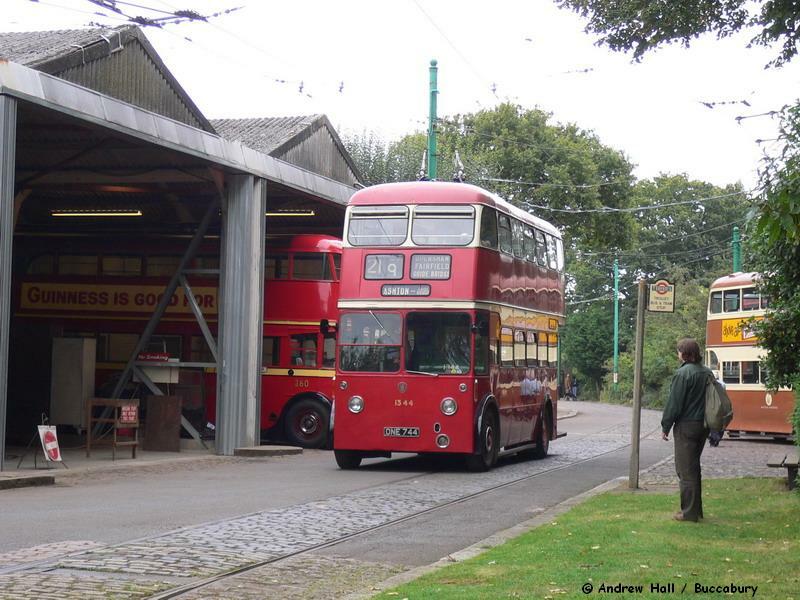 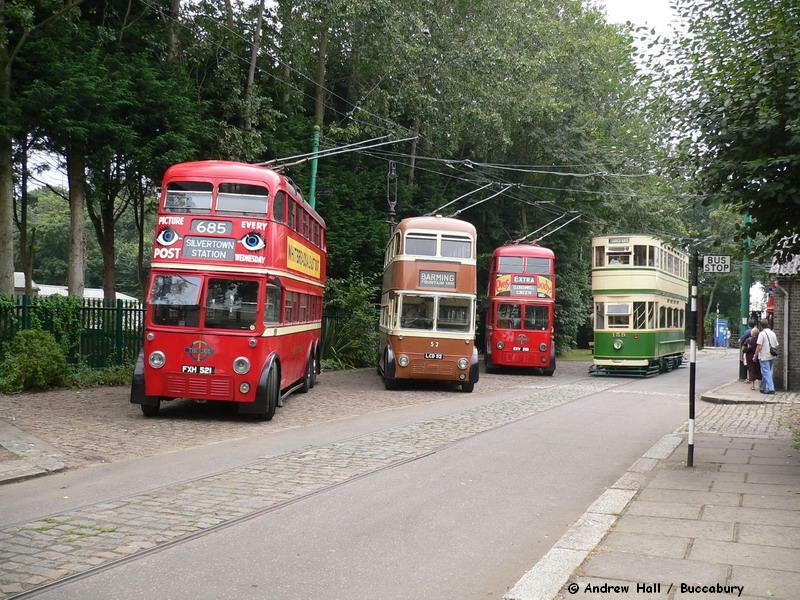 East Anglia Transport Museum - Trolleybus Depot. 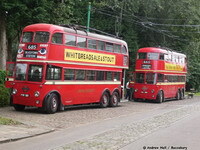 in front of Ex-LT 'C2' Trolleybus 260. 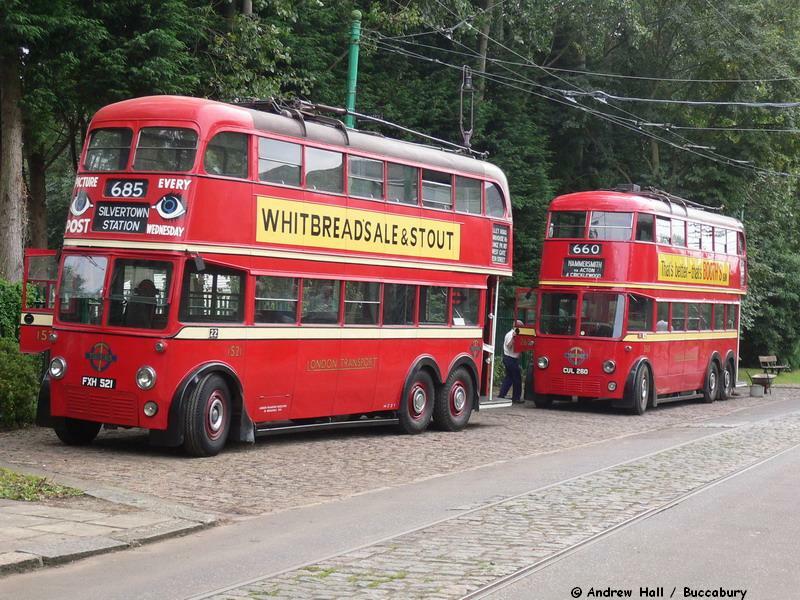 Ex-LT 'L3' Trolleybus 1521, Ex-Maidstone Corp 52 & Ex-LT 'C2' Trolleybus 260 are passed by Blackpool Corp 'Standard' Tram 159. Ex-Manchester Corp Trolleybus 1344, ONE 744 of 1956 passes the Trolleybus depot with Ex-LT 'C2' Trolleybus 260 inside & Maidstone Corp 52 in the lay-by opposite.